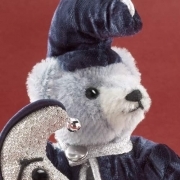 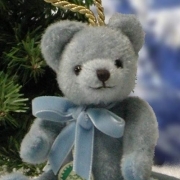 Miniature Bears, which are hand-stuffed with excelsior, belong to the rare treasure of the Teddy Bears world. 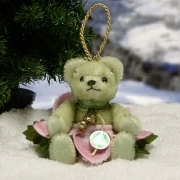 They are hard to find on the collectors market today. 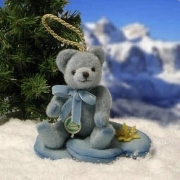 Since 90 years we cultivate the tradition to stuff our Teddy Bears with excelsior and we have preserved this old handicraft also for the manufacturing of our Ornament Bears. 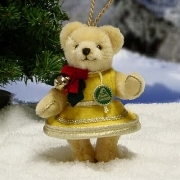 This gives our Ornaments their exceptional value and makes them to incomparable and unique creatures. 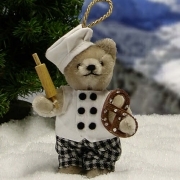 All HERMANN Ornament Bears are crafted by hand in Coburg/Germany in a limited edition of only 500 pieces for each model. 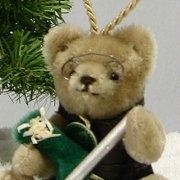 Each Bear is given the full HERMANN treatment. 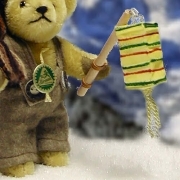 They have a size of about 11 cm (4 ½ inches) and are made of fine German mohair. 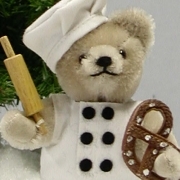 They are 5-times jointed with movable head, arms and legs. 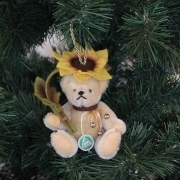 A golden-coloured cord is sewn into the head for hanging. 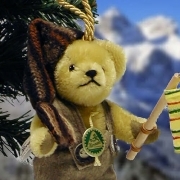 Each Bear wears for identification of its genuineness the HERMANN- Coburg neck-mark in triangle form, which is riveted into the back of the head. 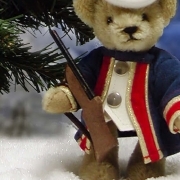 Each Bear is individually numbered. 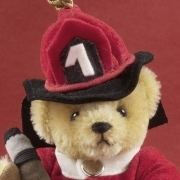 A little gold-plated metal plate is riveted into the left thigh on which the individual number is scribed. 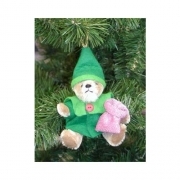 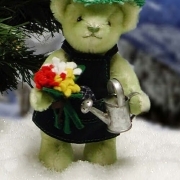 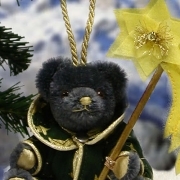 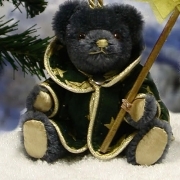 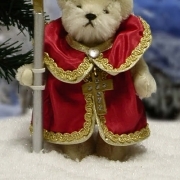 All HERMANN Ornament Bears are created by the own HERMANN design studio in Coburg and protected by copyright. 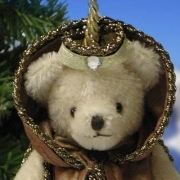 Each Bear comes with a certificate of authenticity. 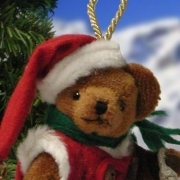 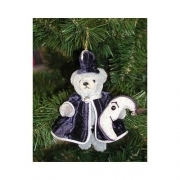 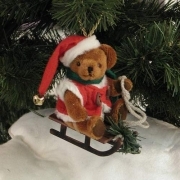 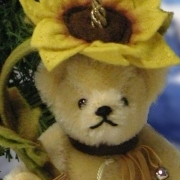 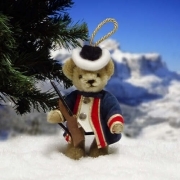 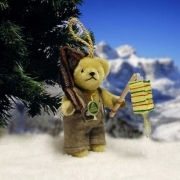 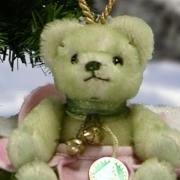 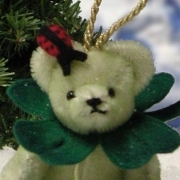 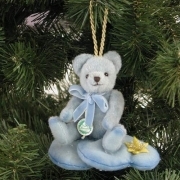 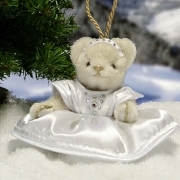 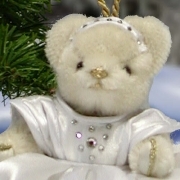 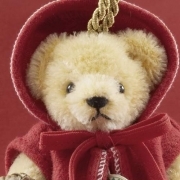 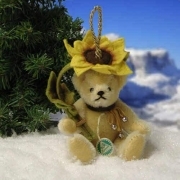 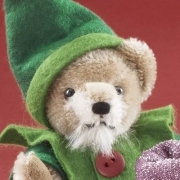 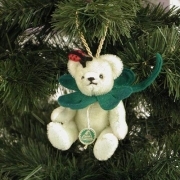 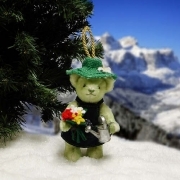 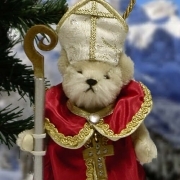 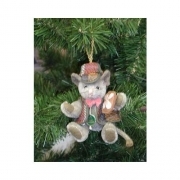 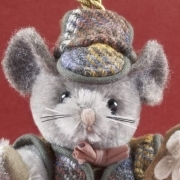 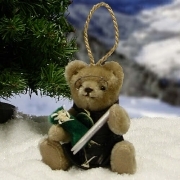 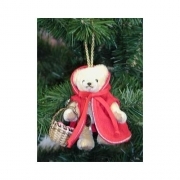 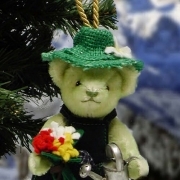 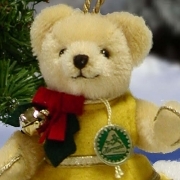 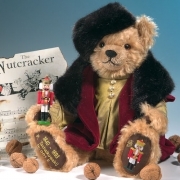 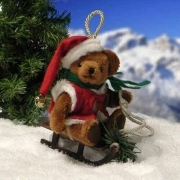 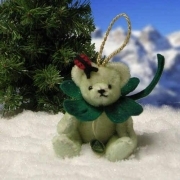 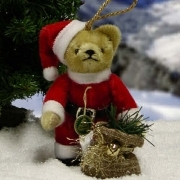 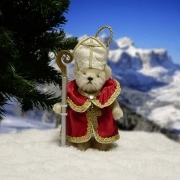 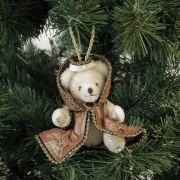 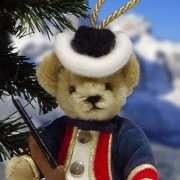 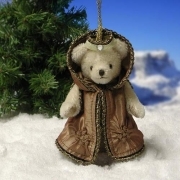 All HERMANN Ornament Bears are highclass collectible items for adults and no toy. 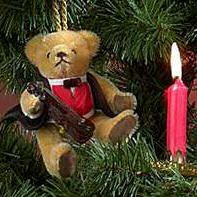 Age grade: only for the adult collector, age 14 and over. 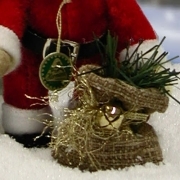 The used materials may vary in colours from the illustration.